Going to Golden Spoon Shangri-La Plaza branch is a current fave hangout place for me and daughter. 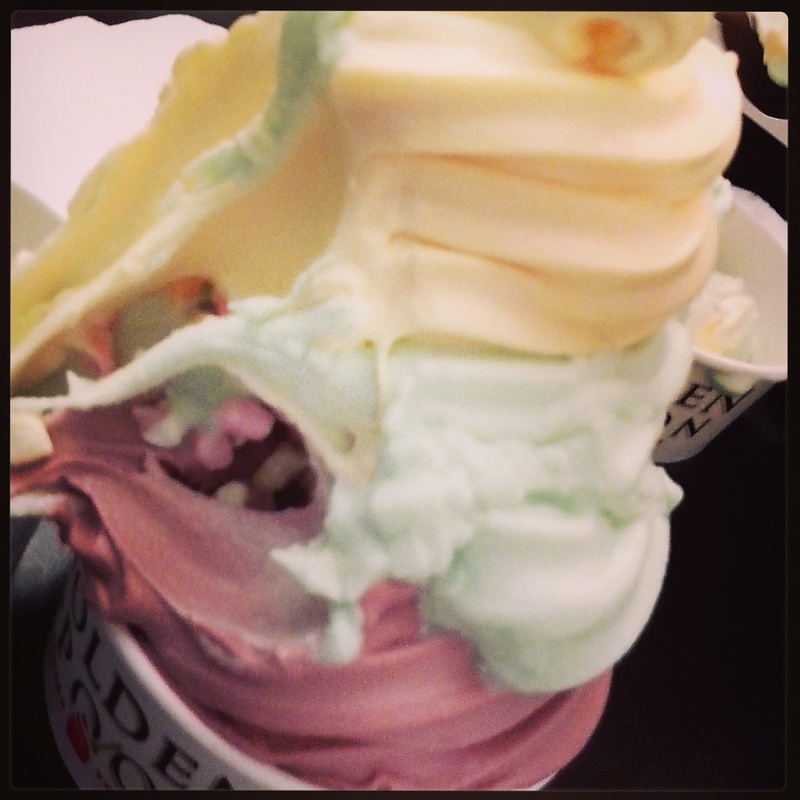 I guess its the yummy yogurt ice-cream and friendliness of the staff that makes as want to go there even on rainy nights. And yes, they are the same staff since the place opened up years ago. So anyways, after they renovated the Shanri-La Plaza branch, they also started offering new things such as the DIY cups which costs P199 - P399. And the fun part is that you can get as much ice cream (in all flavors if you like) as long as it can fit on your cup, then did I mention the sprinkles, and chocolate and caramel sauces? So anyways, we always get the smallest cup which is called the "cupful." It cost P199. Wow, You had a new layout na.. nice one..